no big dill: Christmas in July! For those of you who do not procrastinate, and those who do, but want to repent: This is the last sale OF THE YEAR for my parents' stars (Piggy & Dirt). They also have the cotton tape I like to use for my size tags and labels as well as colored twine (more color selection than anywhere I've seen). 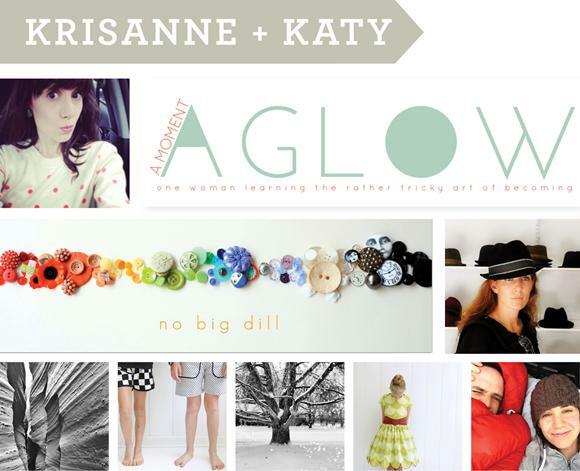 Plus, they featured my sweet sister-in-law Krisanne, and myself. She has my old initials now that she married into the family. So happy to pass them on to someone so dear. Go buy yourself a happy star and have a Wonderful Wednesday! Don't miss our final sale of the year! Sunny skies are a good way to forget the hustle and bustle of Christmas, but we're here to remind you that it doesn't have to be all about hustle and bustle! 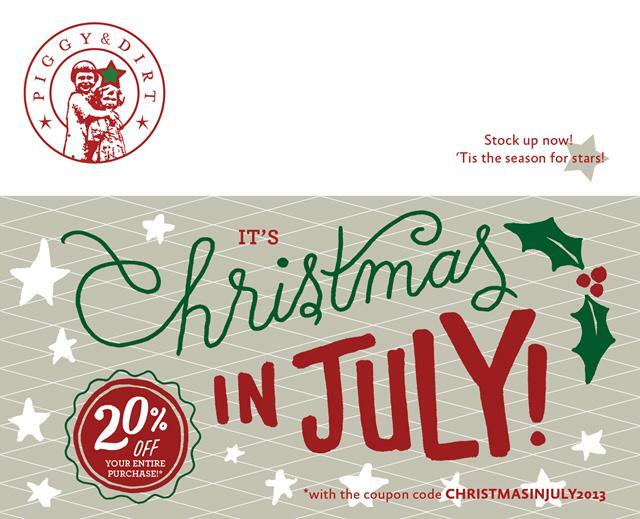 Enjoy the joy and family that make the season so magical by stocking up on stars now—they make a perfect gift for anyone on your list!Use the code CHRISTMASINJULY2013, now through the end of the month to receive 20% off your entire purchase! Take advantage now—this will be our last promotion of the year! Christmas Peppermint Bang for your buck on the classiest combo of Christmas colors. 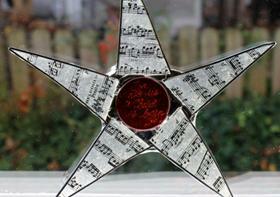 Handel's Star "For Unto Us a Child is Born" engraved on the center in beautiful script. 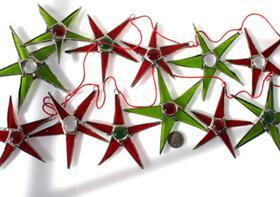 Tiny Star Garland A versitile decoration of a dozen miniature stained-glass stars! 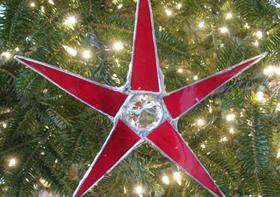 Terrific Tannenbaum Topper 10" of deep red around a stunning diamond-like center. Over The Top Christmas Tree Topper Who can resist GOLD? Here with an intricate design. 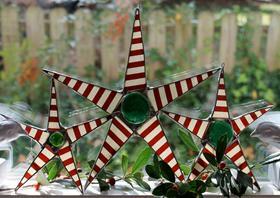 Christmas Window Decor In A Box An annual bestseller! 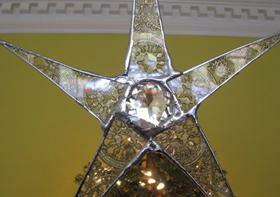 Make these five festive stars yours. 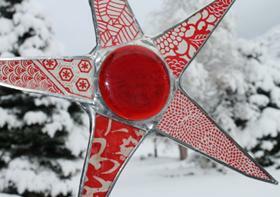 Plum Poinsettia Made with an eclectic mix of ornate red-and-white patterned paper. Fat Santa A jolly old star with fat red and white stripes. You can never have enough stripes! ON THE FAMILY Speaking of joy and family, if you ever find the Internet lacking of positivity and uplift, we encourage you to visit these corners of the web: A Moment Aglow, with thought-provoking words crafted by Krisanne, and No Big Dill, authored by Katy, whose creativity finds many outlets, primarily with sewing for her five girls. We hope they make your day as they do ours! *Also, if you haven't yet entered, I still have a giveaway going on here. Thanks Katy for drumming up some business! We're shooting stars left and right! Thanks, Katy. :) Love you xo. 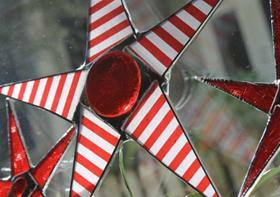 katy, i love these stars! you blogged about them a couple of years ago. my mom does stained glass and i asked her to make some for me... but she never did. so i guess i'll just have to buy some for myself and those i love! thanks for sharing this! My favorite room so far :) I love that your kids call it the Lighthouse Room, it made me think of that movie, "Yours, Mine, & Ours" in so many ways! I had to come back and thank you for posting about this. 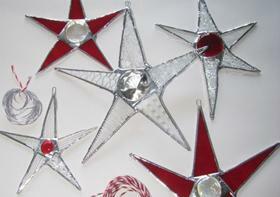 I received my stars yesterday and they were even more amazing in real life. My 6 year old daughter exclaimed, "That's fabric behind the glass?! Wow, that's so creative, mom!" And we were all in love with the packaging. Oh my! Seriously, that made my week! I had had a harder than usual day with my 4 kids and felt beat by the end of it. Opening the package was thrilling, which may make me some pretty pathetic, but it's the truth! it made me feel so special and not a detail was missed by us. thanks again!